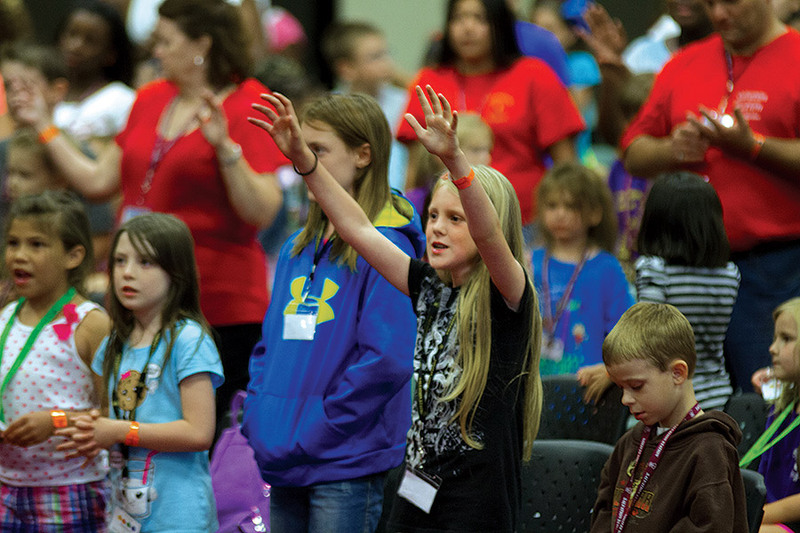 THE 2014 INTERNATIONAL KIDS CONFERENCE (IKC) drew more than 300 children, parents and grandparents from 15 states to the Jimmy Swaggart Ministries complex on June 4-7. 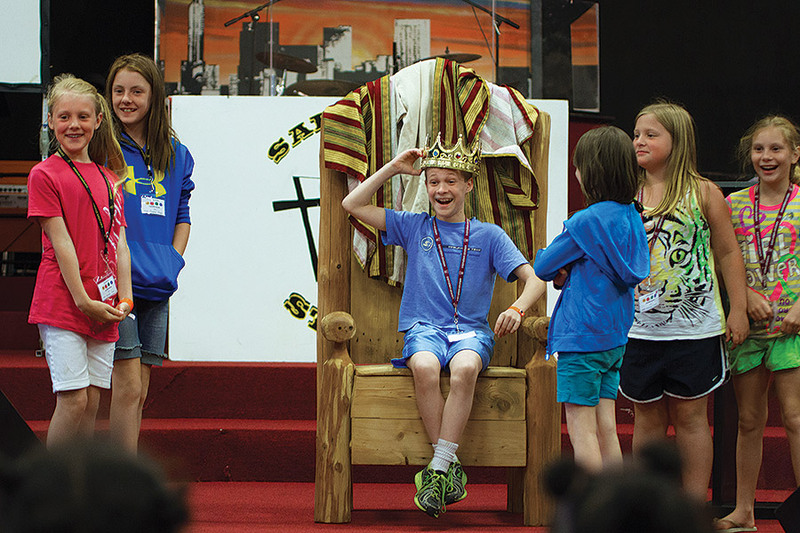 There, gradeschoolers enjoyed many outdoor activities including a dunk tank, rock wall climb, and a petting zoo, as well as two church services each day of the three-day conference. 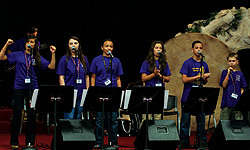 The annual event is orchestrated by JSM Children’s Pastor Mike Muzzerall and his wife, Ana, and made possible by the tireless efforts of JSM staff members and volunteers. The following is taken from an interview which was publish in The Evangelist ( August 2014 ). 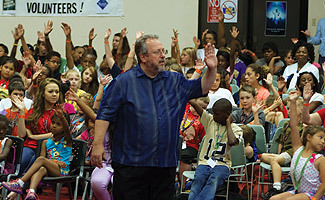 The Evangelist: Pastor Mike, what makes IKC different from any other vacation Bible school or summer camp? Pastor Mike: The Holy Spirit. There’s no sense having a sermon, there’s no sense ministering if you don’t allow a person an opportunity to get closer to the Lord. 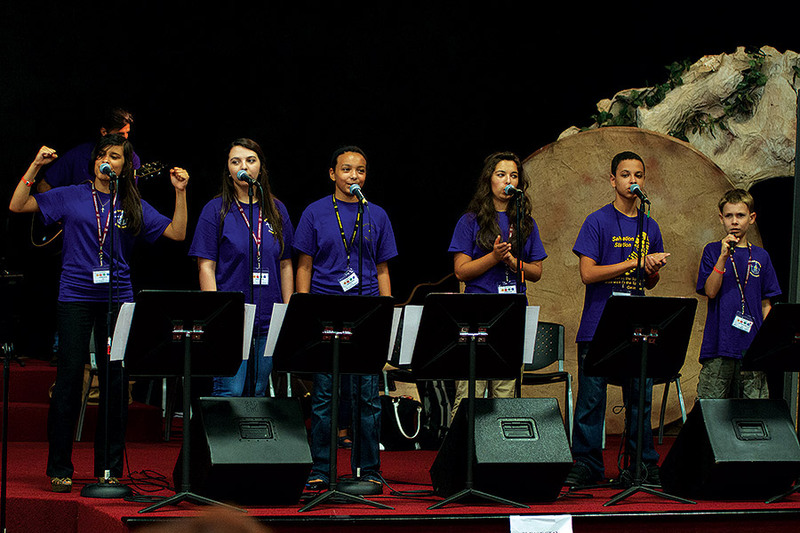 We’re not there to entertain the kids, and we’re not there just to give them a good time in the service. 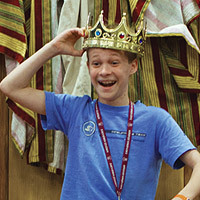 I want them to have a one-on-one with Jesus, and the way we do that is we open up the altars. 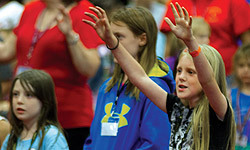 The kids will find a place to kneel down, or stand there and lift up their hands and talk to Jesus and we’ll pray with them. And, if the Holy Spirit leads, we’ll pray for the baptism of the Holy Spirit. We had kids stay at the altar after a service ended—asking for a touch from the Lord, praying for family members, or just telling Jesus they love Him. 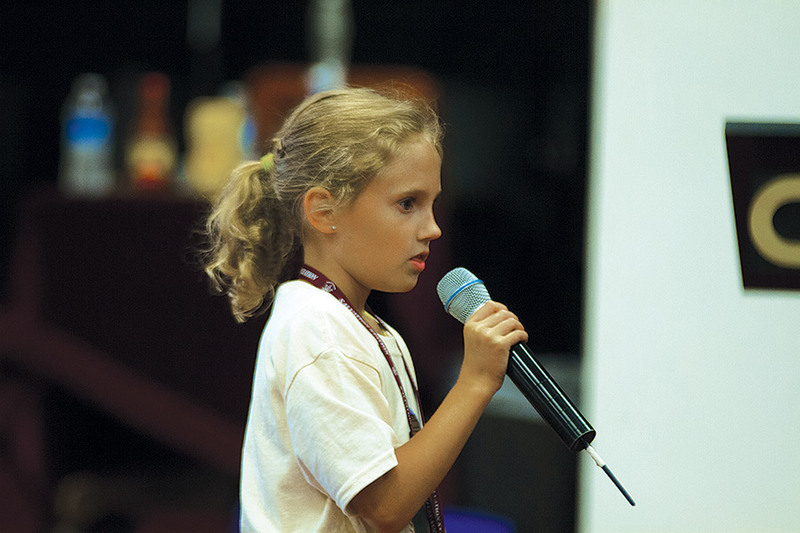 The Evangelist: Were children saved and filled with the Holy Spirit during IKC? Pastor Mike: That very first service — a joint service with Pastor Gabe and me — as soon as we went to do the altar call, I asked for a show of hands of those who wanted to accept Christ and hands went up all across the room. Some of them literally ran to the altar. That set the stage for all of the services. 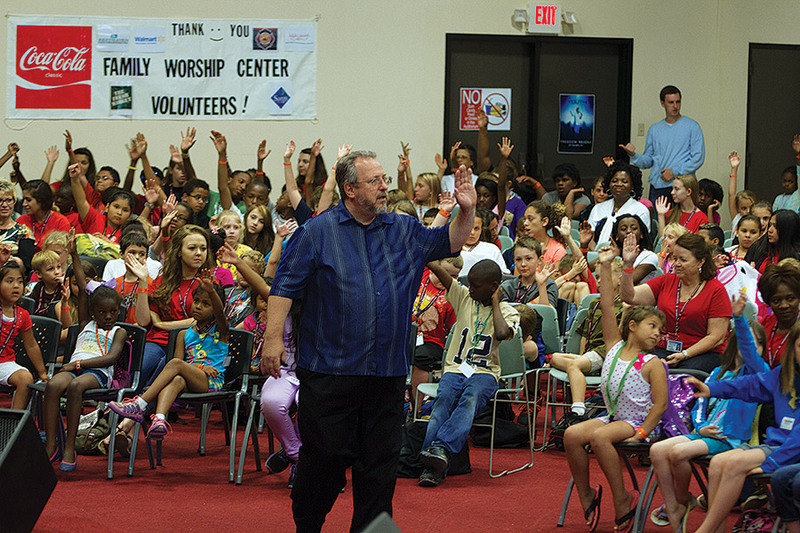 It just seemed, at this camp, that there were so many kids baptized in the Holy Spirit. Literally, at one point, I said, “Now put your hand up if you’ve been filled with the Holy Spirit for the first time, or received a new infilling,” and after I got past a hundred, I had to stop counting and go on with the service. 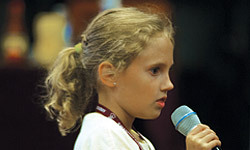 The Evangelist: What did you want the kids to take away from IKC? Pastor Mike: We don’t preach baby sermons. We preach the same message you would hear in the big services: we’re going to preach on the Message of the Cross; we’re going to preach on redemption; we’re going preach on sanctification. We honestly don’t know the lifestyle some of these kids have. Some I’ll never see again and I know that, so I’ve got to make sure that we give them what they need, and I believe we’ve done that. 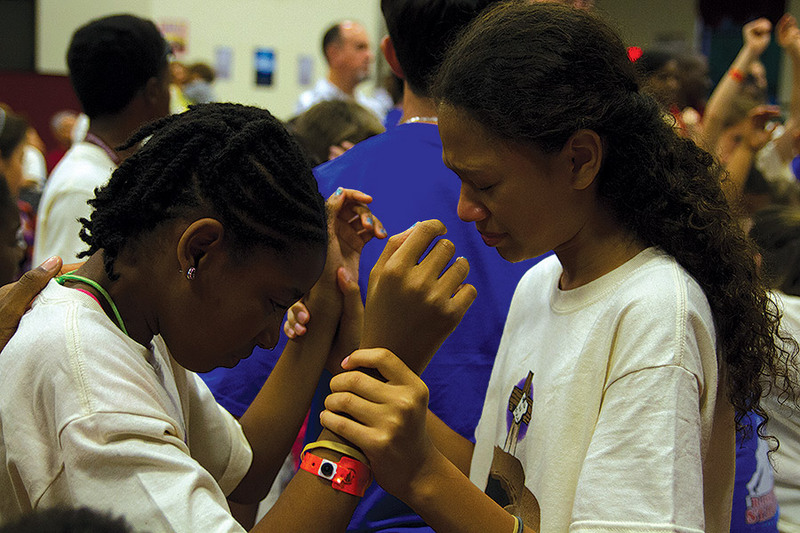 What we try to instill in the kids, and I think the Holy Spirit did it in this camp just like He did in all the other camps, was this: Jesus is there every day for you and, no matter what your situation is, you’ve got to turn to Jesus.